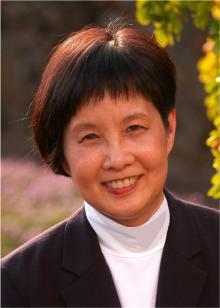 Kathryn H. Au is Chief Executive Office of SchoolRise, LLC. She received an A.B. in history from Brown University, M.A. in psychology from the University of Hawaii, and Ph.D. in educational psychology from the University of Illinois, Urbana-Champaign. Katthy worked for 23 years at the Kamehameha Elementary Education Program (KEEP) as a teacher in grades K-2, and then researcher and teacher educator. In 1995 Kathy became a professor at the University of Hawai‘i, where she was the first person to hold an endowed chair in education. Kathy focused her efforts on establishing the Ka Lama Teacher Education Initiative to assist Native Hawaiians to become teachers in their own communities. In 2005 Kathy and fellow Hall of Fame member Taffy Raphael established SchoolRise, LLC (www.SchoolRiseUSA.com) to assist schools in improving literacy achievement through an approach called the Standards Based Change Process. The company provides consultation, professional development, and evaluation services to schools and districts in Alaska, Hawai‘i, Illinois, Oregon, and Wisconsin and is in the process of expanding to other states. Kathy's research interests are school change and the literacy achievement of students of diverse cultural and linguistic backgrounds. She has published widely on issues of literacy and diversity, including Literacy Achievement and Diversity: Keys to Success for Students, Teachers, and Schools (Teachers College Press, 2011). Kathy serves or has served on the editorial advisory boards of many journals, including the Reading Research Quarterly, The Reading Teacher, the Journal of Adolescent and Adult Literacy, and the Journal of Literacy Research. Kathy served as president of the International Reading Association in 2009-10. She has been president of the National Reading Conference (NRC) and vice president of the American Educational Research Association. She received the NRC Oscar S. Causey Award for outstanding contributions to reading research. Isn't Culturally Responsive Instruction Just Good Teaching?